Samsung is yet to confirm when it’s going to release the Android 8.0 Oreo update for the Galaxy S8 and the Galaxy S8+. The beta program ended a couple of weeks back and there’s still no confirmation about the public release. We confirmed yesterday that Samsung is working on the Android 8.0 Oreo update for the Galaxy S7, Galaxy S7 edge and several other devices. However, it appears one lucky user has already received said update on their Galaxy S7 edge. 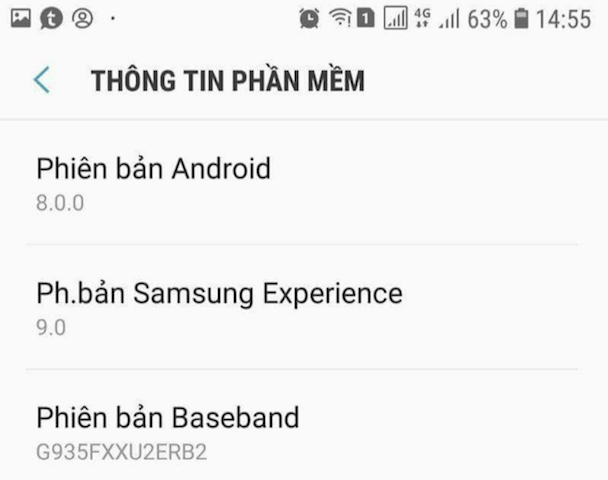 A lucky Galaxy S7 edge owner in Vietnam seems to have received firmware version G935FXXU2ERB2 which bumps them up to Android 8.0 Oreo with Samsung Experience 9.0. We can confirm that it’s a real OTA update. It’s obviously impossible that Samsung will release Android 8.0 Oreo for the Galaxy S7 and Galaxy S7 edge before it’s out for the Galaxy S8 and the Galaxy Note 8. This is likely a mistake on Samsung’s part and the update was erroneously pushed out to this user. 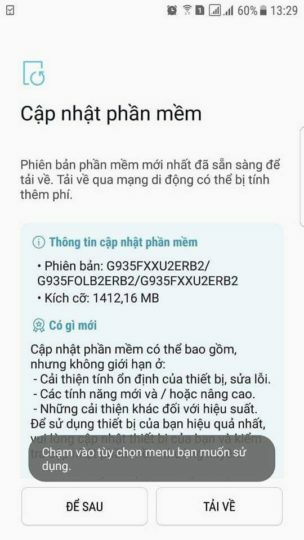 It could be a dev version of the update or perhaps it was leaked by someone over at Samsung Vietnam. Don’t think that this is the first time something like this has happened. We’ve seen the exact same thing happen in the past as well with previous Android platform updates and witnessed it most recently just last month when someone received the Oreo update on their Galaxy Note 8. It’s unclear right now how long Galaxy S7 owners will have to wait before they get a taste of Oreo. The handset wasn’t even a part of the beta program. One can imagine that it’s going to at least be a couple of months before the Android 8.0 Oreo update is rolled out for this device. Please download the Oryo Update for S6 Note5 Series devices and Wada Manzil send 7.1.1 in addition to reduce the screen resolution and performance mode S6 and S6edge and fix problems such as system interface and battery consumption. But i have no idea about that huge size. At least it’s confirmed the S7 will get the SX 9.0, which is great news! S7 will get it 6 month after the s8 official roll out. I hope that if you have managed to download and install it, it will be available soon and not in two months, after the future update of s8 to android 8.0, after a few days will also be available for s7. Seems fake to me, as it can be seen in the picture, it is a dual sim phone, so the name of the phone should be G935FD because only G935F is for single sim. The UX in the Oreo beta is super smooth , so I guess the one in the official release will be the same or even better. It shouldn’t decrease (if anything, it might actually increase), even an SX 8.1 launcher (sideloaded apk) feels waaaay snappier on the S7 than the 8.0 that’s pre-installed (which drops frames like crazy since it’s actually a beta version of SX and 8.1 is the first stable one). You can imagine how much better it will be when Samsung optimizes 9.0 for S7.